The Czar is a very strong person physically, but he’s weak in spirit. He has a very commanding presence, but is easily influenced by those who surround him. I like Rufus Seawell for the character. 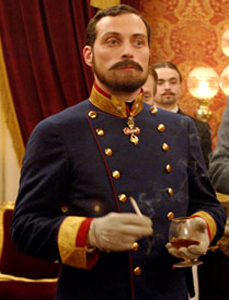 His onscreen presence in the movie “The Illusionist” captured the essence of what I envision the Czar to be.